Alex Haley, author of Roots: The Saga of An American Family, The Autobiography of Malcolm X, and Queen: The Story of An American Family, died on February 10, 1992. 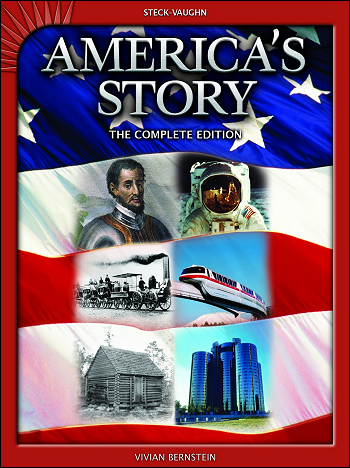 At the time of his death, Mr. Haley was general editor of the 28 books in this series, Stories of America. The education of children was a cause to which he was firmly and enthusiastically committed. This series represents part of Alex Haley’s legacy to the children of America. ~ The Editors. All for the Better and Osceola, Patriot and Warrior are the two books in the Stories of America series completed after the death of Alex Haley in February 1992. Despite his involvement in a number of other projects, Mr. Haley found the time to guide the formation of the Stories of America. As General Editor, he provided editorial direction through all stages of book development. And for each of the 26 books completed prior to his death, he wrote a special introduction. Alex Haley was an inspiration to all of us involved in the project. We did our best to carry on in his spirit. We hope that readers will find evidence of Alex Haley’s influence on these pages, just as we felt his influence while completing them. The Stories of America series is Alex Haley’s contribution to the education of America’s young people. These two books are respectfully dedicated to his memory. The first historians were storytellers. They told the history of their village or town or kingdom from memory. Musicians often accompanied them on stringed instruments. Together the words and music told of adventures and conflicts, of glory and troubles, of failures and triumphs. And the audience of learners listened—entertained and inspired. Today history is often presented as an assembly line of facts and skills. Information is offered without the music of a story. Also lost in this mass of facts and skills are the people whose lives built our nation’s history. People of all kinds and colors—African Americans, Hispanics, women, Asian Americans, Native Americans, and many others—are missing from our history. Steck-Vaughn Stories of America returns people and the storyteller’s music to history. It offers a rich portrait of the diversity of peoples who have made our national saga unique among the histories of the world. So read Stories of America and listen to the music of your history and witness the sights, sounds, smells, and life of your past.